The most ambitious goal Microsoft is striving for with Office 2010 is making the suite available via a familiar experience across the PC, phone, and browser. The Office Web Apps will help in achieving this goal. Microsoft has emphasized time and again the Office Web Apps will work well across different browsers without any plugins installed, but that Silverlight will be used to improve the experience. How Does Word Web App Get Better With Silverlight? •Faster load performance, since typically fewer bytes need to be downloaded before showing the document. •Improved text fidelity at 100% zoom. This includes better text spacing and rendering. •Greatly improved text fidelity at other zoom levels not 100%. •Text will respect settings set in cleartype tuner, so you’re able to determine how much (if any) cleartype you’d like to see. The cleartype tuner is available on the web for older versions of Windows, and is included in Windows 7. •Improved accuracy of hit highlighting in Find. There are some automatic benefits to having Silverlight installed when running the PowerPoint Web App. For example, animations smooth out a bit, and the slide will scale with the browser window size. However Silverlight is not required for rendering or animation. In short, if Office Web Applications users can install Silverlight on the computer they are using, they will definitely want to. If they can't install Silverlight, like at an Internet Café, Office Web Applications will still work. 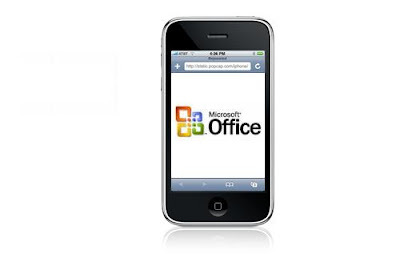 The Office Web Applications (browser versions of Word, PowerPoint, Excel, and OneNote) were announced in October 2008 at PDC. In July 2009, Microsoft disclosed that the Office Web Apps would be available in three flavors: at no cost but with ads through Windows Live, on-premises for all Office volume licensing customers, and via Microsoft Online Services where customers will be able to purchase a subscription as part of a hosted offering. Microsoft is planning on supporting Internet Explorer 7, Internet Explorer 8, Firefox 3.5 on Windows, Mac, and Linux, as well as Safari 4 on Mac. Testers will get access to the Office Web Apps in August and the final versions will arrive in the first half of 2010, when the whole Office 2010 suite is expected to arrive. Impressive. I was just thinking about the viewing capability. Since mobile phones have a smaller screen, we can't view the actual lay-out of every word document we've created through our mobile.